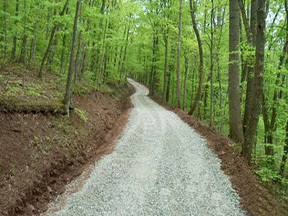 We finally got to work on the road this spring and its really looking good. 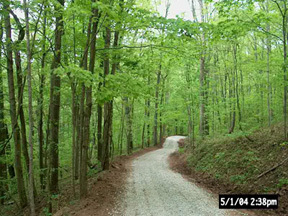 We got started on the road about 8:00 am and finshed at about 5:30 pm Wednesday, April 28, 2004. 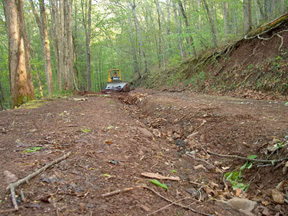 With your donations, we rented a bulldozer and cleaned out the ditch line and filled in the ruts in the road. 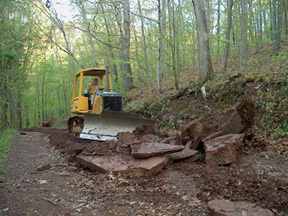 We were also able to buy 40 tons of gravel and put on the road and hopefully we can buy more gravel later on this summer or fall. 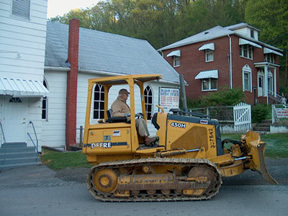 A special thanks to Harry Thompson of Meadow Creek for running the bulldozer for us free of charge. Harry had just turned 82 years old a couple of days before running the bulldozer for us. He just retired from highway road construction this past fall. What an inspiration to us all. 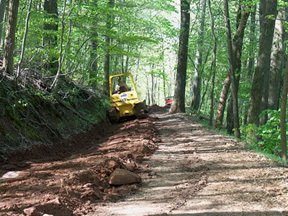 Below is a few before and after photo's of the road. Looking good! Thanks for your support!